With work now complete on site, the success of the Hus22 project has been recognised by receiving the biennial Broadland Design Award, to ‘recognise the special efforts which have taken place to raise the standard of design in the Broadland district’. 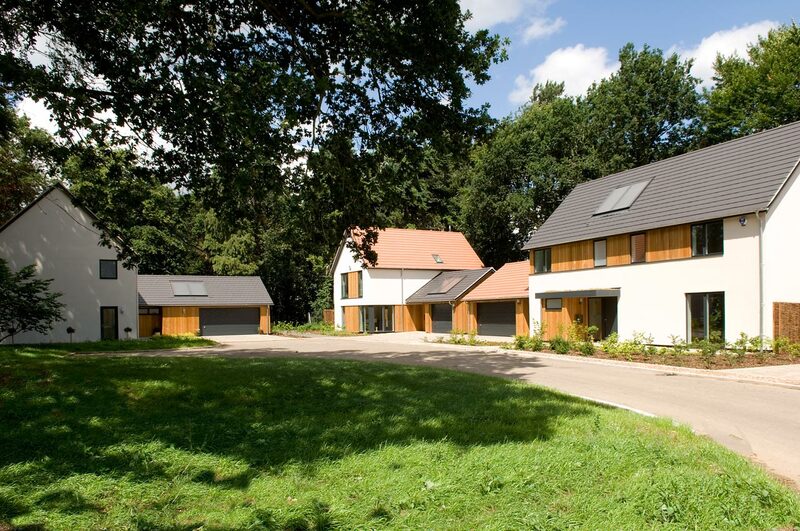 Hus22 is ‘an outstanding example of a developer working in harmony with the natural environment’, according to Cllr Shaun Vincent, chairman of the Broadland Design Awards panel. As well as setting a new benchmark for quality design in speculative housing in the region, the project has also been a commercial success for our client Abel Homes. The first phase of thirteen three, four and five bedroom houses sold quickly, despite being launched in the depths of the recession, and the four houses completed in phase two also sold swiftly. Five affordable units, make up the total of 22 highly sustainable homes built on this unique heavily wooded site. 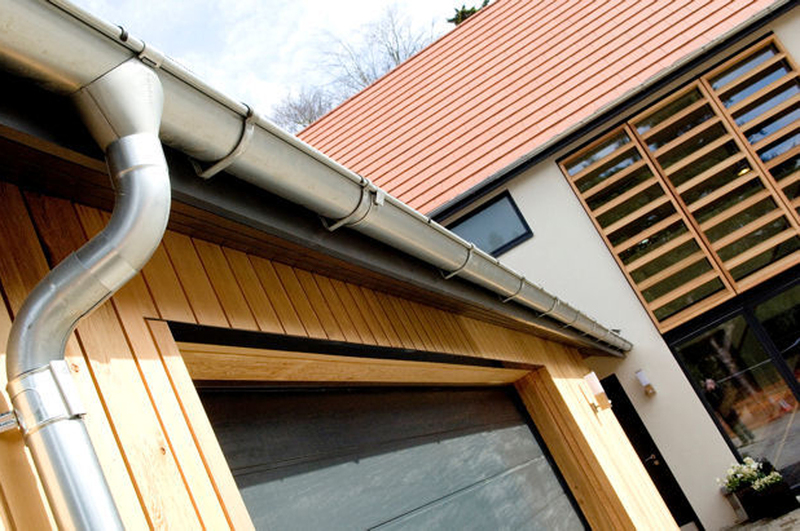 Watton-based builder/developer Abel Homes chose the Danish word for house (hus) to brand the development, reflecting the clean, rather ‘Scandinavian’ lines of the design and their advanced thermal performance. 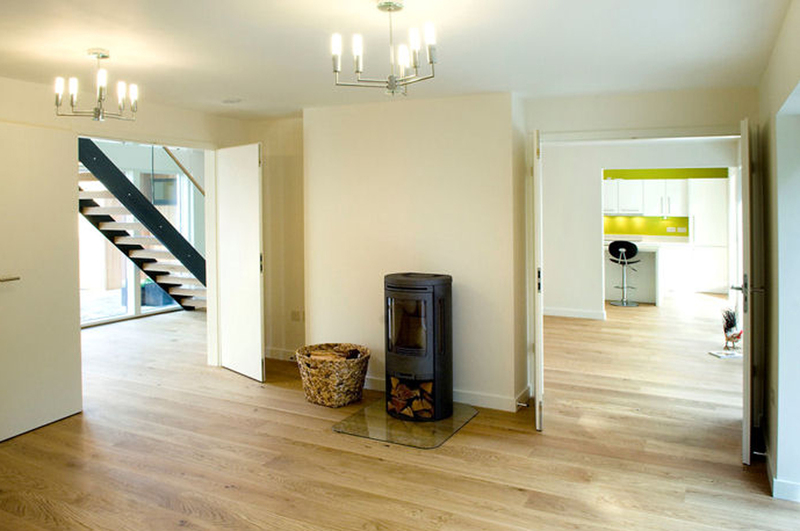 The houses feature heavily insulated timber frames, solar-thermal hot water, air-sourced heatpumps and wood-burning stoves. 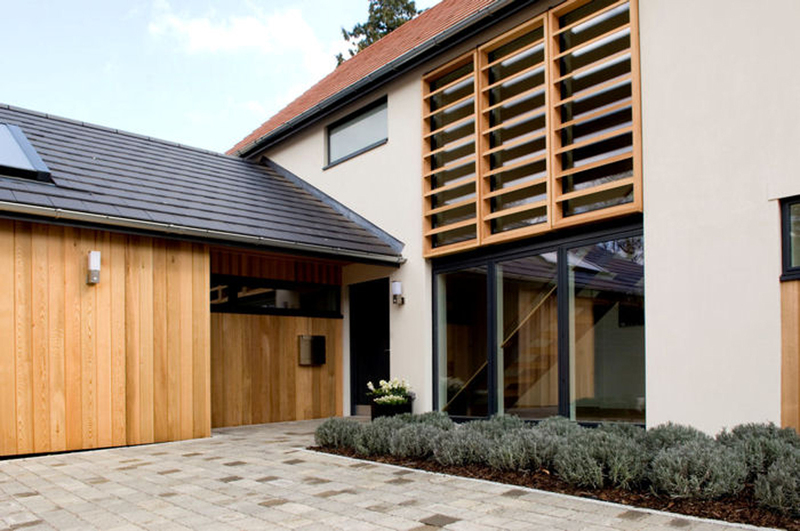 These will come in handy, as the houses are laid out in existing clearings in the heavily wooded grounds of a former country house – a unique and very attractive setting. 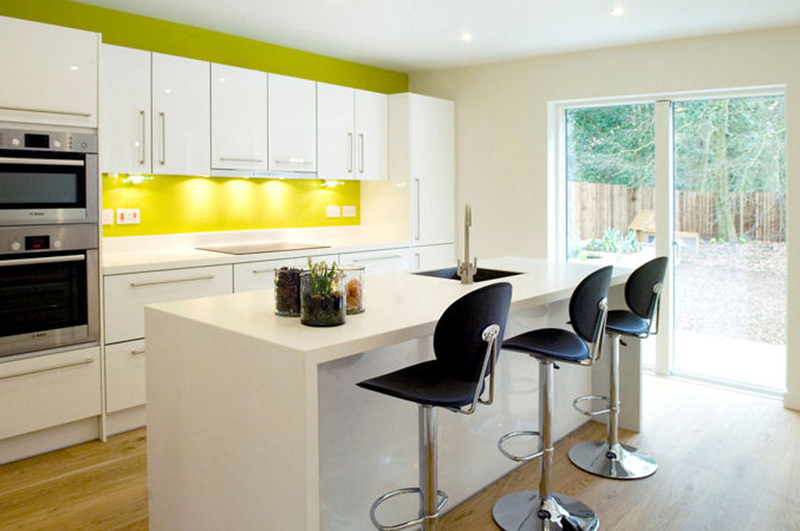 The design of Hus22 was a collaboration between Lucas Hickman Smith and London-based Conran&Partners. 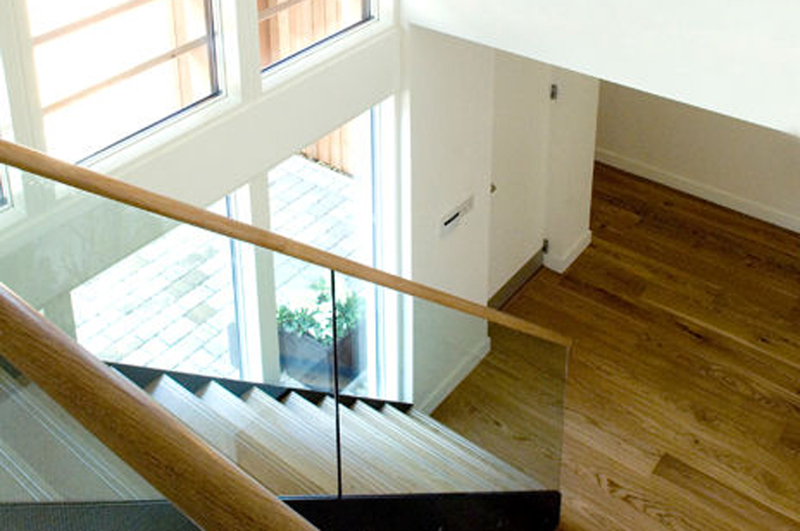 The contemporary design and ‘eco’- features were uncharted territory for Abel Homes. ‘We have tailored our response accordingly, taking an evolutionary approach rather than a revolutionary one,’ explains the project architect. ‘We’ve combined traditional forms and materials with more contemporary detailing, to create homes with potentially very wide appeal; a group of these houses would sit comfortably on the edge of any village in the region’. Internally the living spaces are flowing sequences that can be separated or opened up to each other using sliding screens and interconnecting double-doors, and most have a downstairs bedroom that could also be used as a TV-room or home-office. 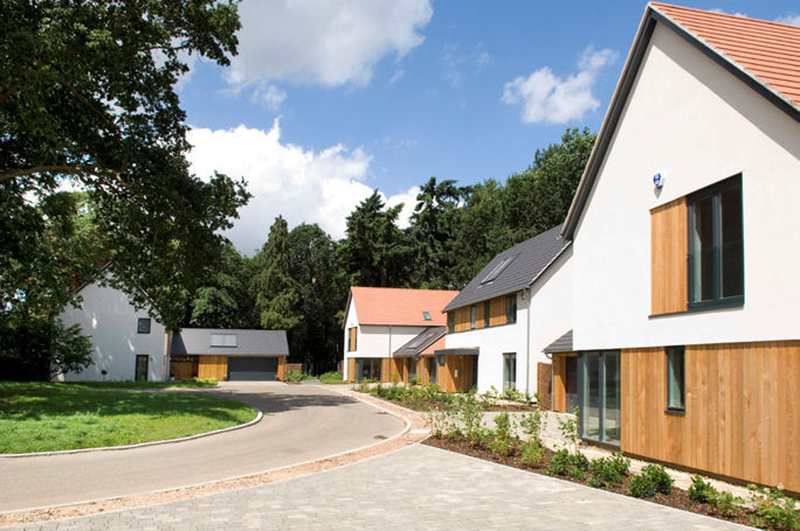 Abel Homes were persuaded by the project architect to do away with conventional front gardens, opting instead for a naturalistic verge between the houses and the road, thereby “trying to maintain the impression of houses set in a wood, not a housing estate set in a wood’.